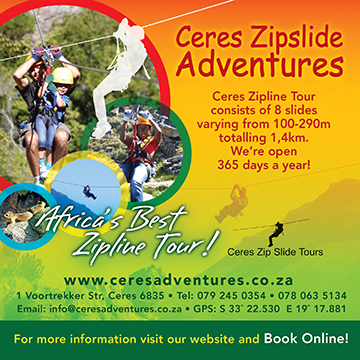 The Matroosberg Private Nature Reserve is situated on the farm Erfdeel, 35 km from Ceres, South Africa. The reserve covers more than 1000 ha of mountain area, and reaches the Matroosberg Peak, which at the altitude of 2249m, is the highest in the Boland. The Matroosberg Peak is about 250m higher than Sneeuberg in the Cederberg.